Australia was the destination for groups of Welsh Patagonians who came between 1911 and 1915. They were tempted to leave Chubut for a number of reasons – increasing pressure for the Welsh in Chubut to identify as Argentinian, to observe the laws of the Argentine Government as the transition from Welsh rule to a national identity, teaching was to be conducted in Spanish instead of the Welsh language and young men had to serve two years in the military. As well, after two generations in the ever-growing Chubut Valley, suitable agricultural land was becoming scarce and new families were forced to look elsewhere. NSW attracted those Welsh Patagonians who were irrigationists. They virtually invented the technique to cope with the constant flooding of the Chubut River and as a means to divert water to the drier parts of the valley. The families who migrated to the Leeton Yanco area included the Rowlands, Jones, Oliver and Williams. They took up land as part of the New South Wales government Murrumbidgee Irrigation Scheme in Yanco/Leeton area. Yet the land that attracted the Welsh Patagonian farmers to Australia was disappointing, with it being infertile, too small, and subject to drought. Many of those in the Yanco/Leeton area gave up their land and were compensated after the conclusion of two Royal Commissions. Yet another group of Welsh Patagonians arrived on the “Kwanto Maru” in Darwin in 1915. Those families included the Humphreys, Davies, Brunt and Kents. Other non-farming Welsh Patagonians also arrived whose motivations for migration are not so clear. These included the Roberts’ (author’s family) who spent twelve years in Wales after their Patagonian experience, arriving in Sydney in 1912, and the Thomas family who arrived in Melbourne in about 1912. 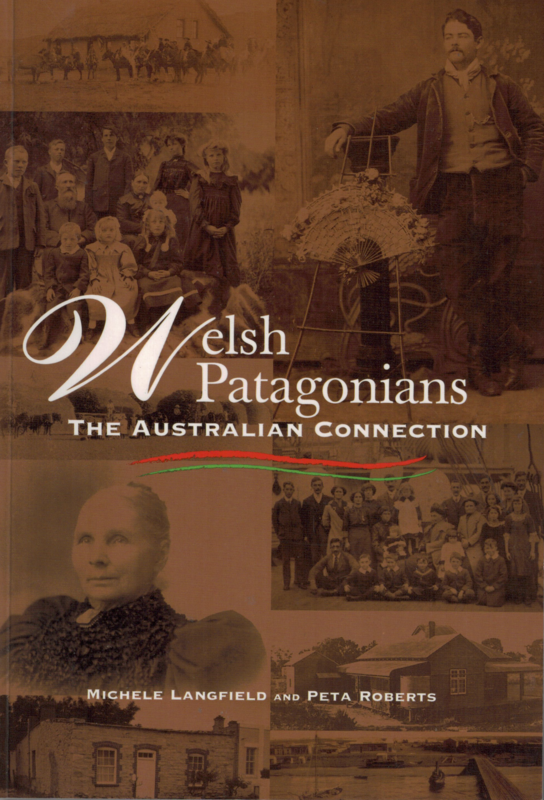 A book “Welsh Patagonians:The Australian Connection” was published in June 2005. Written by Peta Roberts and Michele Langfield, it documents the migration of the 151 Welsh Patagonians who migrated to Australia between 1910 and 1916. A similar number of Welsh had sailed away to Patagonia in 1865 to start their own self-sufficient colony along the Chubut River. A magnet to a better life in Australia was the prospect of legal title to their own land. Migrating as groups, they separately formed two ‘Welsh settlements’ along the Murrumbidgee River of New South Wales and around Moora-Miling in Western Australia. Two large families who went to Darwin never took up their promised land. Drought, depression and poor quality land eventually dispersed these immigrants to all parts of Australia. This book traces the unique experiences of an almost complete group of immigrants, whose extensive kinship and affiliations kept alive their stories long enough for them to be related in this book. Rich personal testimonies gleaned from oral histories with sixty-three descendants, together with genealogical information spanning generations, are blended here with library and archival research from four countries. 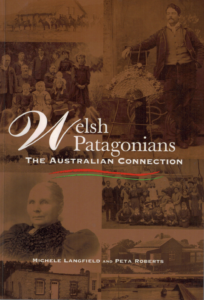 The result is a fascinating story of the connections of these Welsh Patagonians to Australia. Australian immigration encouragement policies are seen through the experiences of the Welsh Patagonians, casting new light on the application of Australian immigration policies and settlement schemes in the early twentieth century. (ISBN 0957829183).